We had a wonderful warmly welcome, Therese Massa cooked a delicious dinner for us. 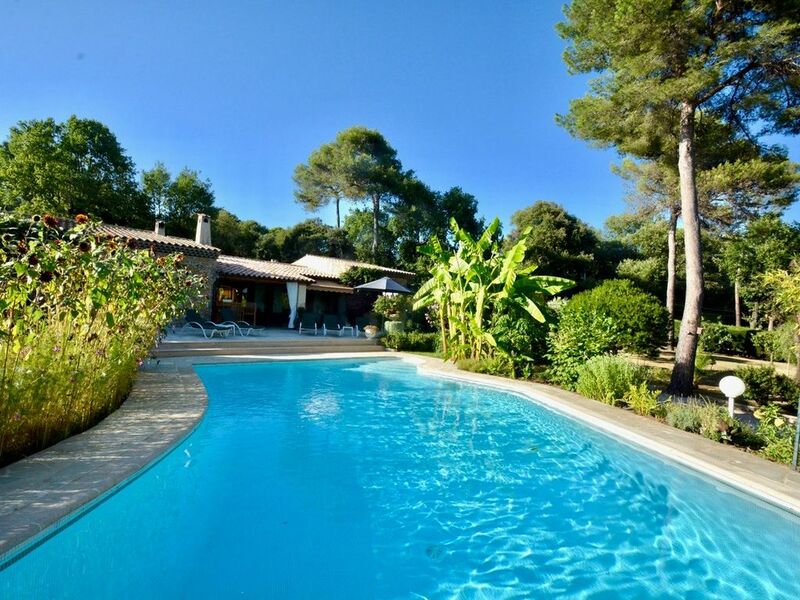 The house is very comfortable with a great pool and garden.Not far away is St.Paul-de-Vence and the sea. Our week was too short, but we will come back again.It is necessary to speak French or English. Thank you so much for a wonderful Holiday. Friendly, Daniela. "Diese Villa ist excellent eingerichtet und mit allem erdenklichen Luxus ausgestattet. Ein herrlich gepflegter Garten. Sauberer, beheizter Pool.Ruhige und doch zentrale Lage. Superbe maison avec très beau jardin et piscine chauffée . Rien ne manque dans la maison . Et surtout Thérèse et Jean Claude Massa sont adorables . Nous avons passé un magnifique séjour .